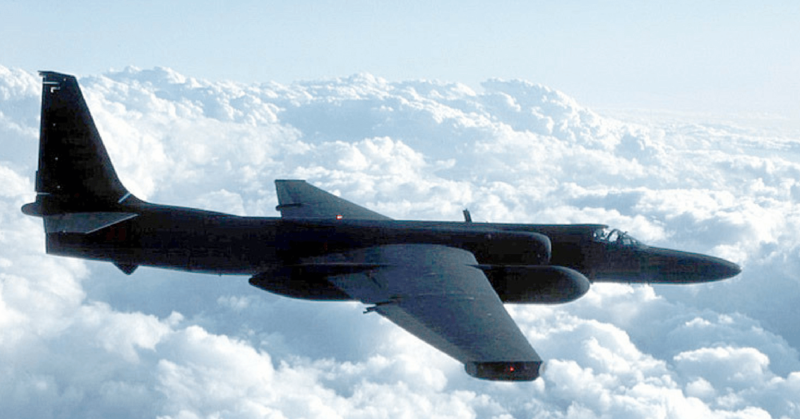 The Lockheed U-2 also known as the “Dragon Lady” is a high altitude recon aircraft that was built in 1957 to gather a range of information while cruising at undetectable high altitudes. It has a surface ceiling of 70,000 feet and can be equipped with a variety of sensory and communications systems for spying purposes. It is because of its robustness and reliability that, to this day, the U-2 is still in service. The end of World War II kicked off the Cold War, and America was in dire need of an aircraft that could transmit back accurate information about Soviets plans & projects. This was a time when satellites & geo-positioning were still far from perfected, and Soviet air defenses made it impossible for traditional recon/bomber planes like the B-52 to carry out these activities. In the end, it was the CIA that pushed for the creation of the U-2. The Lockheed proposal for the recon plane was approved and from 1957 onwards, the plane was in action over enemy territory. The U-2 held a tactical advantage over Soviet jets since Russia was yet to build an aircraft capable of reaching the same heights. In addition to this, the US also believed that the Soviets were far away from developing any missile system capable of bringing down a U-2. President Eisenhower did not want to send American pilots over Soviet territory as he knew this might damage relations even further. A solution was proposed., that involved British pilots flying U-2 aircraft over Soviet territories. This would allow the US to maintain plausible deniability should anything go wrong. U-2 “GRAND SLAM” flight plan on 1 May 1960, from CIA publication ‘The Central Intelligence Agency and Overhead Reconnaissance; The U-2 And Oxcart Programs, 1954-1974’, declassified 25 June 2013. The first two missions were a success, and thanks to new information gathered with U-2, it was confirmed that the Soviets were working on Intercontinental Ballistic Missiles. While these new developments were taking place, however, the Four Power Paris Summit was scheduled for May 16th, at which the US and Soviet officials were meant to engage in a series of positive talks. Still, pressure was mounting on President Eisenhower to a get a closer look at the Soviet bases, so two more missions were approved almost a month before the summit. This time, the missions were to be flown by American pilots. On April 9th, 1960, a U-2 spy plane was dispatched, piloted by Bob Ericson. At first, the mission seemed to progress smoothly. However, unknown to the CIA, the Soviets had now developed a radar system capable of detecting a U-2. Several attempts were made to intercept the plane, but in the end U-2 reached an Iranian landing strip unharmed. The Soviets started massing their defenses. On April 28th, a U-2 spy plane was ferried all the way from Turkey to the US base at Peshawar in Pakistan. Francis Gary Powers was selected as the pilot for the mission while Bob Ericson was chosen as the backup pilot. 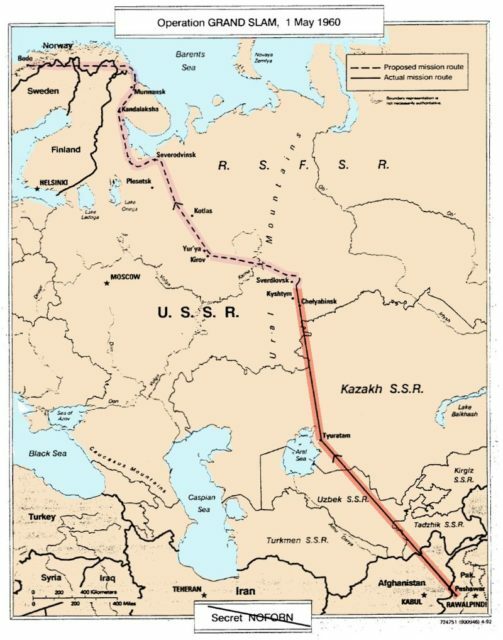 The mission was planned for the 29th but due to bad weather conditions over the Soviet territories, the mission was delayed by one day. On May 1st, the U-2 spy plane took off from the US base in Peshawar with the code word “Grand Slam”. Its mission was to fly over Soviet facilities, photograph them and then land at Bodo, Norway. This time, however, the Russians were ready for them. A huge numbers of Soviet Air Defense Units in Central Asia, Siberia, Ural and the European Region had been placed on high alert, with orders engage with anyone violating their air space. Though the U-2 managed to avoid attacks at first, it was eventually brought it down. Gary Powers struggled to break out and finally enabled his parachute, allowing him to reach the ground unhurt. He was captured by Russian forces shortly afterwards. Four days after Powers’ disappearance, the US government issued a press release through NASA, speculating on his current status. 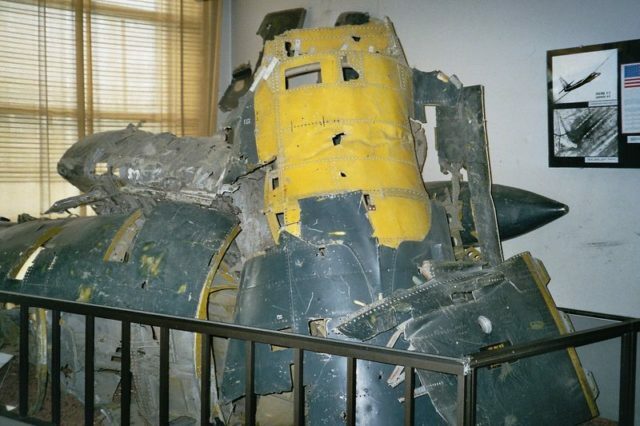 Eventually, they attempted to cover up the whole incident, stating that the plane had simply crashed while on a routine mission, killing the pilot. Meanwhile, the Soviets were successful in gathering the wreckage of the aircraft, along with the remains of surveillance equipment. The Russian authorities were then able to publicly present the damning evidence to the world, implicating the US and blaming the CIA for the whole debacle. Soviet Premier Inspecting the remains of U-2. On May 10th, amidst mounting pressure, House Appropriations Chair Clarence Cannon revealed the true nature of the U-2 mission, confirming the Soviet claims as the truth. Shortly afterward, President Eisenhower personally confirmed the allegations and took responsibility for the mission. The Four Powers Summit still went smoothly, and there were hopes that matters wouldn’t worsen after US-Soviet talks. The two powers failed to find a middle ground, however. The pilot, Powers, was eventually exchanged for Soviet agent Rudolf Abel on February 10th 1962.